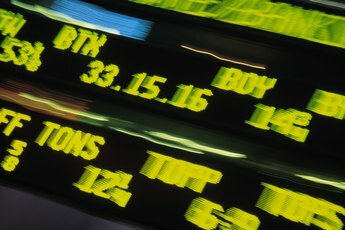 Electronic investing makes it easy to trade stocks from your personal computer. Stock represents ownership in a corporation, and each share of stock represents an equal level of ownership. 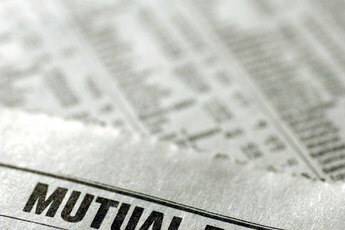 More than half of Americans surveyed own stocks in their individual portfolios, through their retirement plans or in mutual funds as of 2011, according to the Gallup Economy website. Among Americans with annual incomes of at least $75,000, 87 percent own stocks. As with any kind of equity investment, there are potential risks and rewards for buying stocks. The challenge is balancing the risks and rewards for your situation. A stock's market price can be affected by a variety of factors that have little to do with the soundness of the corporation, including public perceptions, wars, new product announcements, emerging competition and shifts in the general economy. You typically buy a stock with the expectation that the market price will increase, giving you the benefit of capital appreciation. But you are buying the stock from another investor who is probably equally convinced the stock's market price is about to decline. Any time you buy stock you run the risk of having a capital loss. Some companies, particularly well-established companies, return a portion of their profits to their shareholders in the form of dividends. Companies that pay dividends typically do so on a quarterly basis. Companies that have a long history of paying dividends in both good and bad economic times are commonly referred to as blue chip companies. You can gain the benefit of a predictable stream of current income by investing in the stocks of blue chip companies. However, dividends are never guaranteed, and there is always the risk that even companies with a long history of paying dividends may choose to reduce or suspend dividend payouts. Dividends are always taxed as current income, just like interest, but you are not taxed on any increase in the market price of your stocks until you actually dispose of your stocks. Your benefit is you can determine when you want to pay your capital gains taxes on your stock gains. If you hold your stocks for longer than one year, you get the added benefit of the gain being taxed at the more advantageous long-term capital gains tax rate. If a company that you hold stock in goes bankrupt, you risk losing your entire investment. Every other creditor, including bondholders and preferred stockholders, have preference on the company's assets before you. On the positive side, common stockholders are not personally liable for any of the company's debts. The most you can lose is the amount of your investment.